1. 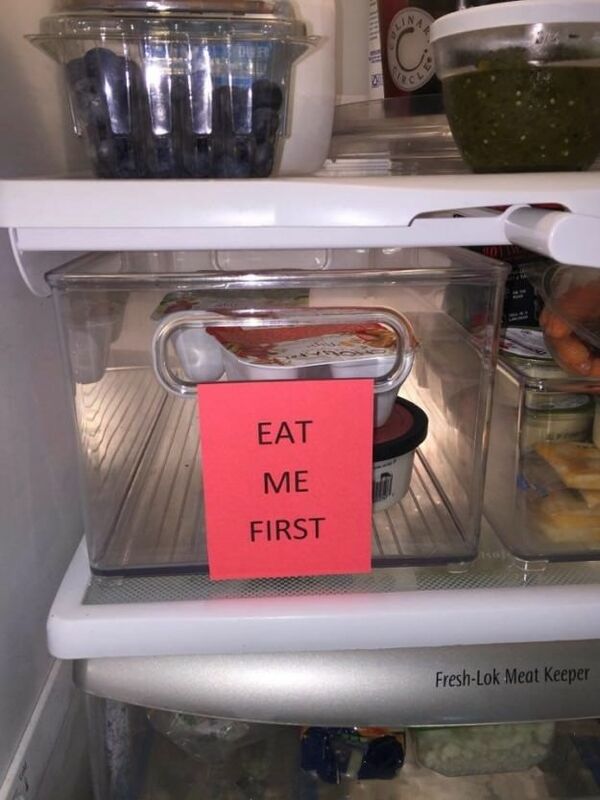 Create an “eat me first” bin in your fridge or your pantry (or both!) to help cut down on food waste. If you notice that food is getting old, put it here. That way, 1) you know what’s about to go bad instantly, 2) the food actually gets eaten, and 3) you can start to figure out what (if anything) you tend to overbuy. From here. 2. 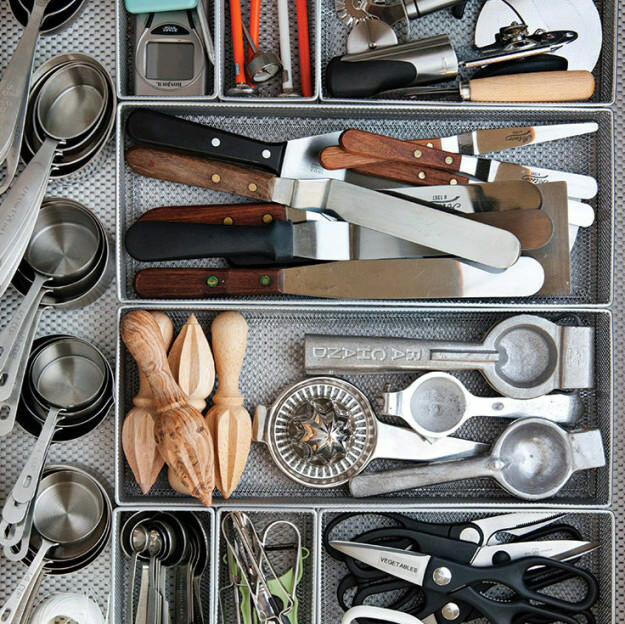 Divide up your drawers with mesh organizers from the office supply store to make sure every utensil has a spot. They’re affordable, and because they come in so many shapes and dimensions, you can always figure out how to customize what you need for your drawers. Check out more well-organized drawers here. 3. 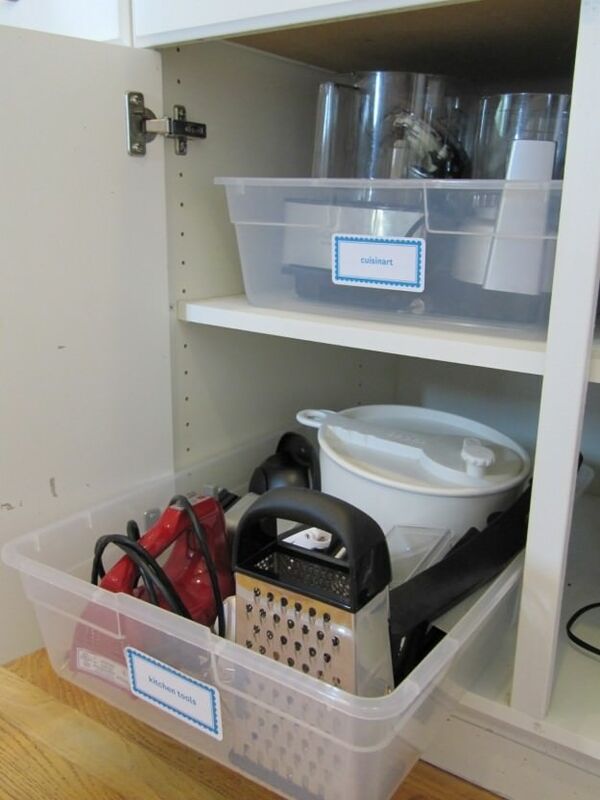 Stash under-bed storage bins in your deepest cabinets to make everything accessible, even in the back of the cabinets. Labels are optional, but they can be very helpful! You will lose a little bit of storage space this way (much like you would with more expensive pull-out cabinet organizers), but depending on your set up, you could be taking better advantage of the space you’re using. 4. Make your shower look neat even when you buy oversized bulk bottles of shampoo, conditioner, and body wash by refilling pretty pump bottles. 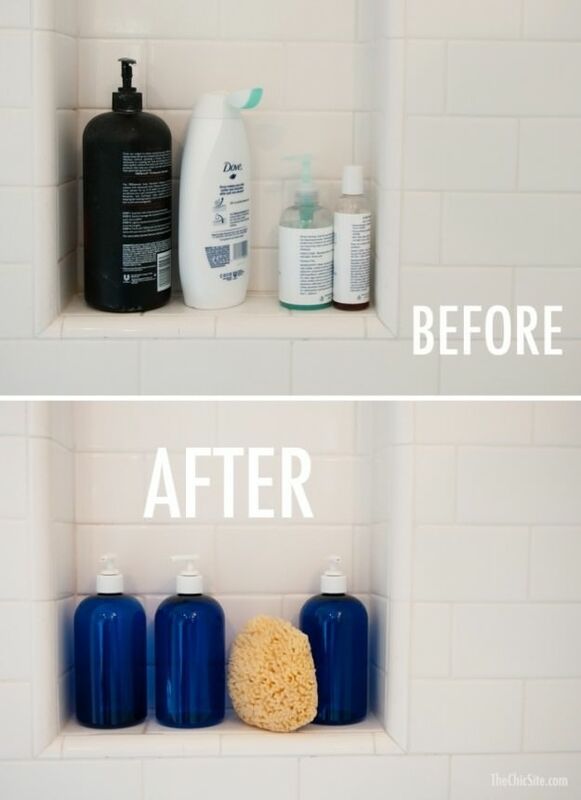 It goes beyond the aesthetic of having matching bottles — it lets you save money over time, especially if you have a small shower where those giant bulk bottles don’t really fit. Read more here.